Thanks to these sponsors for supporting the guidebook writing process. (If you'd like to sponsor - contact marci@kansassampler.org). 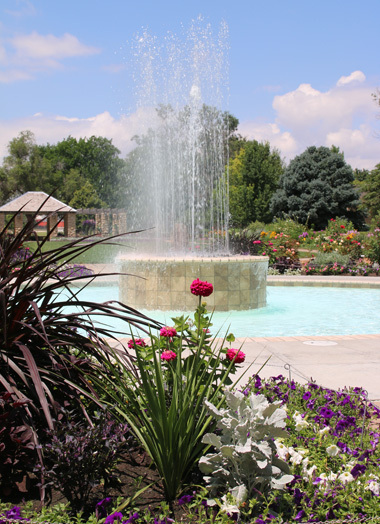 Gushing in color with beautiful beds of flowers, accented with stone structures, sidewalks, and sun dials, Eisenhower Park is a highly recommended destination. (Facebook). During the Depression years, the government-created WPA (Works Progress Administration) program was developed to put people back to work. 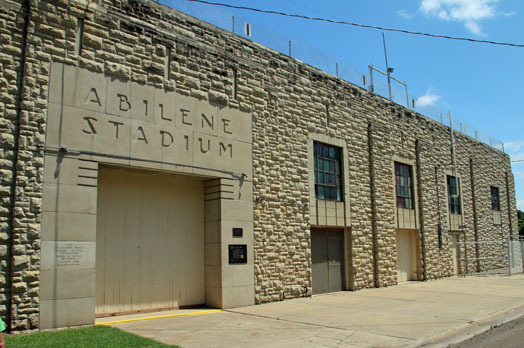 Between 1935 and 1939, this Abilene park was designed and built with local workers in the WPA program. The pergola and formal garden were designed by local architect, C.L. Brainard. His designs were inspired by the Italian Renaissance and Beauz-Arts landscapes popular in the era. An interesting aside, as stated in park history, is that C.L. became the architect for his wife's family business, Duckwalls. 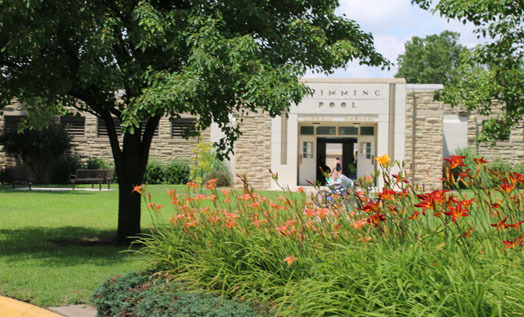 WPA workers built a swimming complex, county fair stadium, restrooms, picnic tables, and triangular traffic islands that still stand and are used today in what is now called Eisenhower Park. 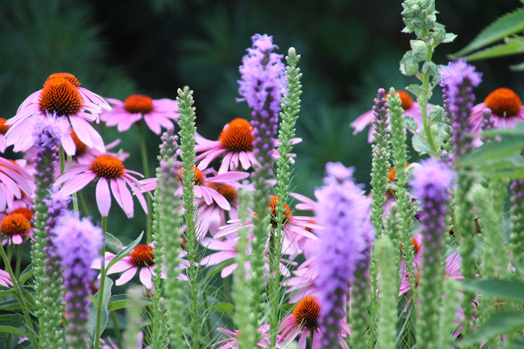 Two water fountains add a refreshing spurt to the gardens. Joy Maas is the dedicated caretaker of this oasis of beauty. Along with seasonal workers from the City of Abilene Parks Department, they work to beat the heat, bring the water, nurture the plants, and present this gorgeous venue to the public. A short walk away from the flower gardens is this stadium where, in June of 1952, General Dwight Eisenhower announced his candidacy for the presidency of the United States. Next time you're in the Abilene area head over to 500 NW Pine and you'll find a bright spot in your day. 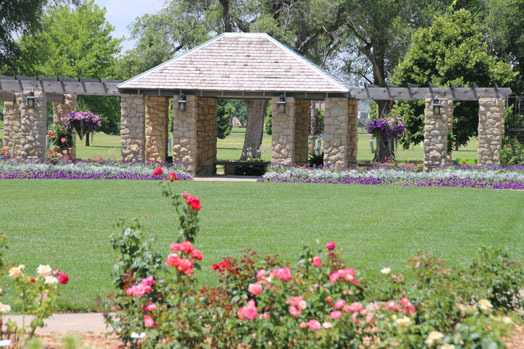 Marci and WenDee are busy writing the next guidebook about places like Eisenhower Park in Abilene. A project of the Kansas Sampler Foundation, considering sponsoring these blog posts. Contact marci@kansassampler.org.